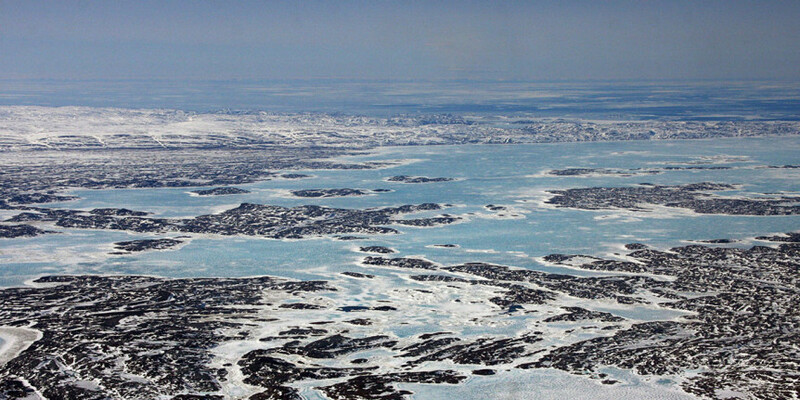 This region extends from the northwestern border of Alaska, encompassing the entire Alaskan Coastal Plain north of the Brooks Range, extending across the entirety of the Canadian Arctic to the north on Ellesmere Island and to the south and east to the tip of Labrador. The southern border includes northern Hudson Bay, with a line north of the Hudson Bay Lowlands back to the north and west to encompass all of the Mackenzie River Delta and tie into the Alaskan North Slope again. The southern border of this zone includes the complex transitional area between the treeless open tundra and the Boreal Forest. This focal area is seasonally restricted to shorebirds, supporting open tundra and forested wetland nesting habitats for many North American-breeding shorebird species, including most of those on the Focal Species list. Other than nesting, there are important staging areas within this region for shorebirds moving both north, to nesting territories, and post-nesting stopover sites for birds needing to refuel before long southward flights to wintering habitats. The Focal Species dependent on this area include the: American Golden-Plover, Greater Yellowlegs, Lesser Yellowlegs, Marbled Godwit, Purple Sandpiper, Red Knot, Sanderling, Semipalmated Sandpiper, Red-necked Phalarope, Ruddy Turnstone, and Whimbrel. The main threats to shorebirds in this Focal Geography include commercial and industrial development, and predation of eggs and chicks by native and alien species.